ISSUE 63: Contains 39 exciting new patterns for women from designers such as Lisa Richardson, Martin Storey and Sarah Hatton. Knitted in Rowan's popluar yarns including Kidsilk Haze, Fine Lace and Felted Tweed, designs include comfy cable and lace sweater and cardigans as well as a beautiful selection of accessories. ISSUE 64: This special 40th anniversary edition features two design stories, Ruby and Alpaca Classic. Ruby is a collection of 20 designs by iconic knitwear designers, the inspiration is simply Rowan’s Ruby Anniversary. 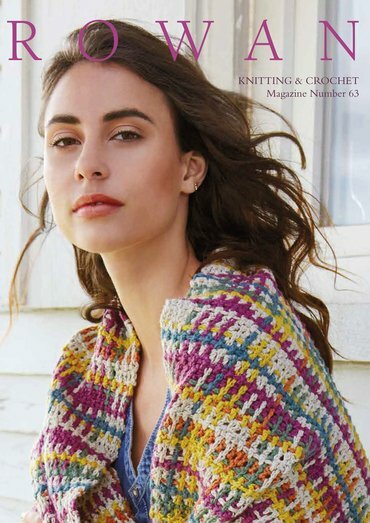 The second story is a collection of 17 relaxed designs by Lisa Richardson, all worked in the gorgeous new yarn Alpaca Classic offering a choice between deep jewel colourwork pieces and a natural neutral palette.